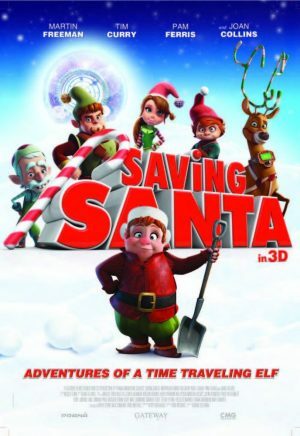 Check out our review of Saving Santa - is it any good and how suitable is it for kids? 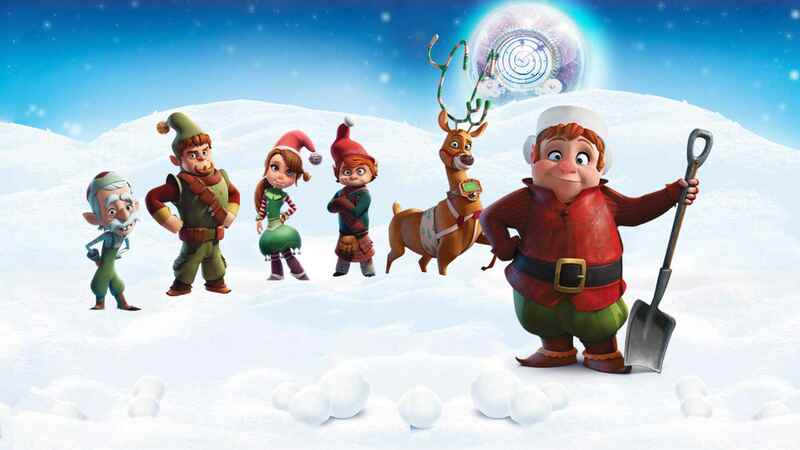 A lowly elf, whose job is shovelling reindeer poop, is the unlikely hero of this festive British cartoon for younger viewers. Bernard D Elf (Freeman) wants to work for the hi-tech arm of Santa’s present-delivering operation, but has to content himself with mucking out the stables and trying each year to impress his bosses with inventions to help make Santa’s job easier. Unfortunately, a series of events cause a North Pole power cut, revealing Santa’s location that is usually hidden from the world, and opportunistic Nevill Baddington (Curry) and his mother (Collins) see it as the perfect opportunity to steal Santa’s time travelling sleigh. Can Bernard save the day? While this features some seasonal cheer for very little viewers, the blocky and rather unattractive animation (couldn’t they have made the elves cuter?) will put most viewers off. The plot, which involves travelling back in time so we see some events more than once, is yawnsome and at the same time a bit complex for little minds, while the songs are irritating rather than cute. While the movie’s heart is in the right place, there are so many better Christmas movies – including, of course, 2011’s Arthur Christmas – to choose from.